Here’s Day 2 of the St. Jude Novena! GOD, PLEASE I BEG YOU TO PLEASE HELP US ! GOD I AM DESPERATE, …. PLEASE HELP MY SON AND I to sort everything so that my beloved son can easily effortlessly return to USA. THANK YOU GOD, THANK YOU JESUS THANK YOU SAINT JUDE. I come to you and ask that you pray for my son ? Saint Jude please pray to God to help my son KG with the USA visa payments, the urgent processing of his USA Visa, flight tickets to the USA and all the money and all the items/necessities he requires for his return trip to America for January 2019 ? Please pray to God to arrange that KG and Kelly receive their USA Tax refund from the IRS – USA urgently ? Please pray St Jude ? God please send legion upon legion of healing angels to help my friend Marilyn whose brother just died on 24 December 2018. Please heal her and the entire family ? God please send her heavenly help ? That out daughter will be healed of her mental illness. She was hospitalized for psychosis yesterday. She has been suffering with declining mental health for the last 12 months. She was a healthy, brilliant child and has spiraled down. Thank you St. Jude for your intercession. In Jesus’ name I pray for mercy for our sweet daughter. Please intercede for my prayers I pray today… Amen. Kindly interceed for me that all my prayers may be answered. Thank you for the peace in our home and marriage. Keep our children to be preserved in the Lord Jesus Christ and to walk in his stature at all times. I pray to be financially secure. Please help me to know what God’s will is for me regarding my marriage and my relationship with Alan. Please help me to make the right choices, and to have the strength and knowledge to do what Your will is. Please intercede for me Saint Jude, and ask God to show me the way. Thy will be done. In Jesus’ name. Amen. Pray that I will get my cancer treatment hear in Los Angeles and continue to be cancer free. Oh St Jude, I pray for the repose of my father’s soul. I pray that we be consolled. I pray for love in my marriage such cheating will be a thing of the past. I use the sword of fire to separate my husband from Victoria and other strange women that are causing problems in my marriage. I pray that God will make the impossible situation of our families life possible and remove poverty. Help me oh St Jude. Please pray for a complete healing of my husband Todd’s kidney. May he get off of dialysis and may his MPA disease be cured. I pray that my family will come back to the church. Pray for healing with my daughters foot and my medical problem Pray for her coach that he will have a change of heart with acts of love and compassion Pray for my financial situation and a good outcome with Workers Comp claim Pray great success for my sisters basketball team and especially Sara Pray for all needs of my family and special friends Carrie and Kim. 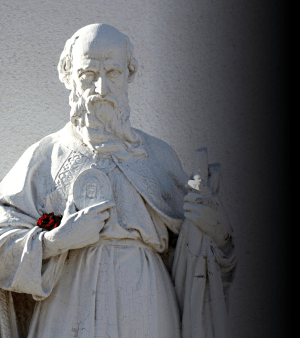 Dear St. Jude, please pray for me and with me, that I may receive God’s divine favour regarding marital issues, that I may meet the right person sooner rather than later. Please pray that the future with him be God ordained and blessed. Amen. Lord I pray for financial breakthrough. Please join me to pray for my workmate;Sarah who for more than 5 years has a wound on her lower leg and she has used a lot of Medicine both Medical and traditional herbs. I believe that divine intervention will help bring back her lost Soul back home. I also pray for a great celebration tomorrow as my two boys are inducted in the Church through 1st Holy Communion and last Christian Commitment at their School at 8years and 10years respectively. Dear St. Jude, please pray for me for a successful outcome to my legal issue. That my case may come in front of the person who can help me resolve it. Thanks in advance for the right outcome. I truly believe that it is done…… Thanks be to God!!! confining me to a manual wheelchair and home since 2nd. May 2013 and want to be cleansed and healed soon . Please pray to sell our house. I pray that my children,husband and family and myself will be cured from cancer since its in our family. St Jude help me with my constant anxiety and lack of care from my family who seem to care little about me. Give me the strength to regain my once strong personality. Please St Jude a swer my prayer. In the name of the father. St Jude Thaddeus, kindly intercede on my behalf so that my present employer will renew my employment contract for the coming year, 2018. I will remember to give thanks thereafter. We pray that you grant my son and I a legal status to live in the US peacefully. Reunite my husband with us. In the name of the father, son and holy spirit, amen! Please st Jude pray for me and my family for health happiness and peace Amen Thank you St Jude ??????????????????? ?